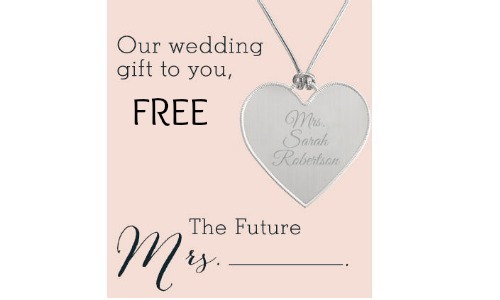 If you’re making wedding plans, here is a great offer where you can get a FREE Keepsake Heart with your name-to-be on it from Things Remembered! Sign up for their newsletter to get this offer. It’s also a great way to get tips for your upcoming wedding. Please note that the personalized heart keepsake is only available in-store.